Guy Bresler is the Bonnie and Marty (1964) Tenenbaum Career Development Assistant Professor of Electrical Engineering and Computer Science at MIT, and a member of LIDS and IDSS. Previously, he was a postdoc at MIT and before that received his PhD from the Department of EECS at UC Berkeley. He seeks to obtain engineering insight into practically relevant problems by formulating and solving mathematical models. 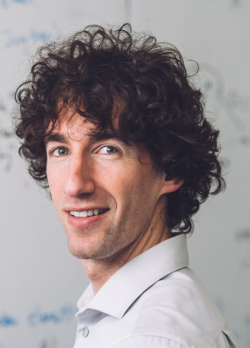 Concretely, he wants to understand the relationship between combinatorial structure and computational tractability of high-dimensional inference in the context of graphical models and other statistical models, recommendation systems, and biology.